In this episode of season 3 of 80 Days: an exploration podcast, we’ll be talking about Saint Helena, a volcanic tropical island in the South Atlantic Ocean, and one of the most isolated points of land in the world. Saint Helena is more than 2,000 kilometres (1,200 mi) from its nearest mainland neighbour. The nearest port is Namibe in Angola. It was uninhabited up until its discovery by the Portuguese in 1502, and was later taken over by the British. Used for much of its life as an island of exile, its most famous inhabitant was Napoleon Bonaparte, who was exiled there after his defeat at Waterloo. The island today has a population of just over 4500, and is roughly the size of Staten Island in New York or San Marino, at just 121 square kilometeres, or 47 square miles, and its climate is generally mild. The island is situated in the Western Hemisphere and despite having the same longitude as Cornwall in the United Kingdom, it is classified as being in West Africa by the United Nations. Its inhabitants, known locally as “Saints”, are the descendants of sailors, settlers and slaves, and are said to be fiercely loyal to the British monarchy. The island’s economy is dependent on British grants and remittances, and up until recently its only link to the outside world was by a Royal Mail Ship, the St Helena, which made a five-day journey from Cape Town in South Africa, every three weeks. 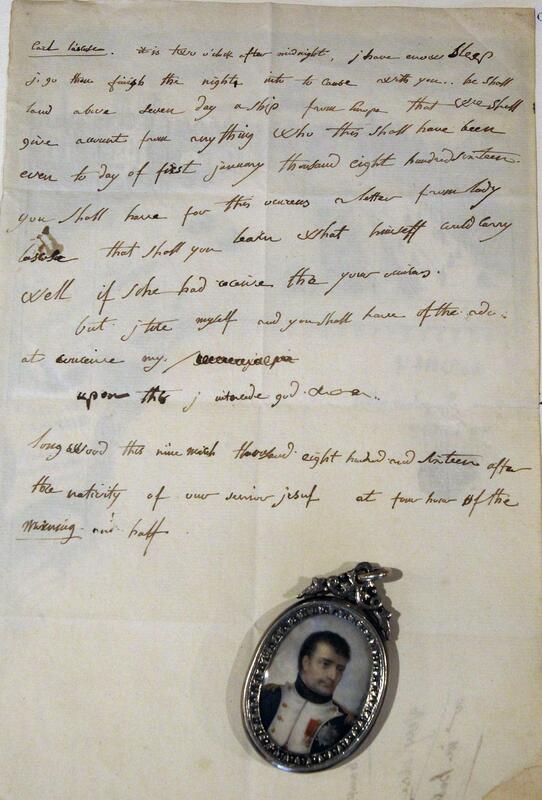 A letter written in English by Napoleon during his time as a prisoner on Saint Helena, determined to learn the language of his captors to fill his time. It was sent to his English teacher for correction. We could go on and on with interesting links to learn more about Saint Helena, but that should be enough to keep you reading and listening for a while! Thanks to Fran Hobbs for his insightful interview about life on the island. A massive thanks to all of our patrons on Patreon who are supporting season 3. If you’d like to join them and see what rewards are available for supporters, and get a peek behind the curtain check out www.patreon.com/80dayspodcast. We really appreciate the support and input!